Please contact us if you’re interested in putting Front Porch Forum on the agenda of your upcoming event. This is what FPF really shines at- avoiding craigslist and finding good homes for your treasures locally to people you actually know! My old workhorse has a new stable, as it were. Thanks FPF and the buyers of the saw! My farming grandfather didn’t go to Town Meeting. His was a north-facing sugarbush, so he sugared late and Town Meeting Day was when he set out the taps. He didn’t go to Town Meeting because he “had” to work that day. Could he have set out the taps on Monday or Wednesday? Of course — but he was set in his ways and didn’t care enough about Town Meeting to shuffle his schedule. Vermont’s small town residents have always had — and still do have — choices about whether to attend Town Meeting, and they made (and make) their choices based on their personal sense of priorities for the day. I, in contrast to my grandfather, have an employer who expects me to show up for work every day. And with a new job, I don’t have vacation time earned. But I worked it out because it matters to me to do so, and even without a vacation day to use I’ll be there (as I have for most or all Town Meetings in the 10+ years we’ve lived in Calais) voting to keep our Town Meeting alive. 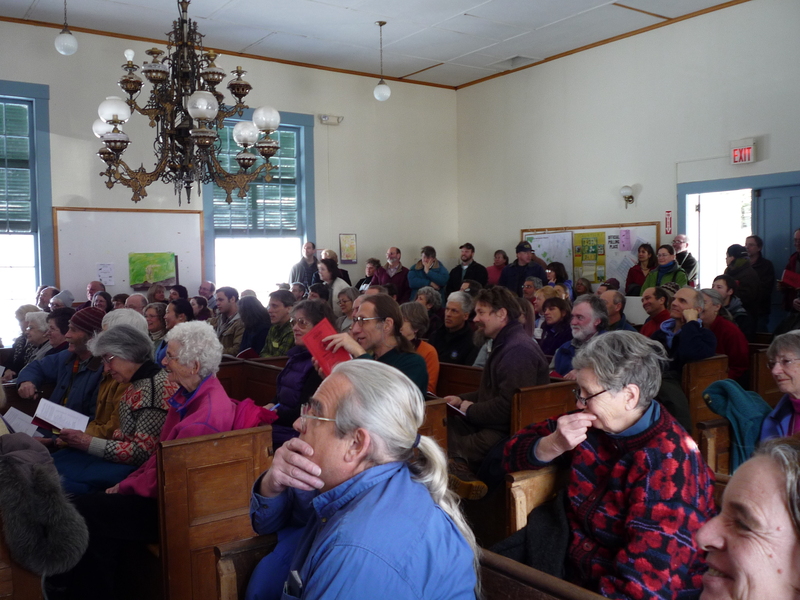 Town Meeting is a tradition in Vermont established by our forefathers. But that’s not a reason to keep it or reject it. We should keep it or not for its relevance to today, the world we want to live in, and the world we want to leave to our children. 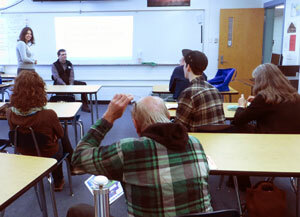 Gathering together one time per year to decide our town and school budgets, elect local officers, and debate policy both local and beyond is an important part of the richness of our community. It’s one of the things that makes Calais, Vermont special. I’m with Erica. If we have to switch the day let’s do that — or even move it around from year to year to accommodate a variety of schedules — but let’s not be hasty to toss it away. Please join me and vote “no” on Town Articles 11, 12, and 13 and the School District Article 5. Thank you.